Classic Philadelphia Cheesesteaks rule in my neck of the woods. 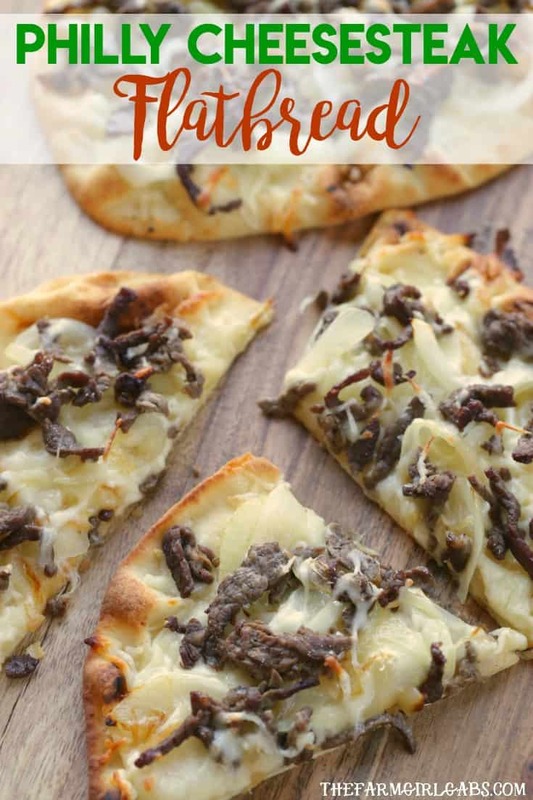 This Philly Cheesesteak Flatbread is the perfect recipe to celebrate the sandwich Philadelphia made famous. I was invited and hosted by Hershey Entertainment & Resorts Company on a sweet trip to explore what Hershey, PA has to offer. All opinions are my own. As a Jersey girl growing up in South Jersey suburb Philadelphia, it’s no secret that we take our cheesesteaks pretty seriously. That is why when I venture away from the area, I am hesitant to order anything on a menu that is Philly Cheesesteak related. I’ve done it before only to be disappointed at the attempt to create this beloved regional favorite. The meat, cheese, and roll all play an important part in this delicious creation. On my recent trip to experience everything that Hershey, PA has to offer, we were treated to a delicious dinner at Fire & Grain Restaraunt located in the Hershey Lodge. This eclectic restaurant was reimagined last year. I thoroughly enjoyed the laid-back atmosphere. Its menu features remastered cocktails and comfort foods that will certainly please your palette. Included on the Fire & Grain dinner menu is a Philly Cheesesteak Flatbread. It came highly recommended by many of the Hershey staff so, naturally, I had to see if this twist on the Philly classic was as delicious as they say. It was. In fact, it was so good, that I recreated my own copycat version at home. As I said before, the key to an authentic Philadelphia Cheesesteak is a combination of the meat (I like to use thinly sliced ribeye), the cheese (I prefer American but avid cheesesteak lovers will debate that and go with Cheez-Wiz) and a nice crusty long roll. So my equation for a Philly Cheesesteak Flatbread is basically the same, minus the roll. Since it is a flatbread, you will need a pizza shell or any type of pre-made flatbread available in your local grocery store. You can find my easy pizza dough recipe here. 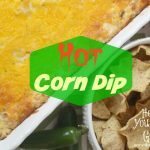 This recipe is so easy to put together. I fried my shaved ribeye over high heat for a few minutes. It will cook really fast since it is sliced so thin. Another addition that I love on my cheesesteak is fried onions….and plenty of them. So I sauteed some of them too. Now its time to assemble. Like any other pizza, start by adding cheese and then top with the steak and onions. Bake in the oven for 10-15 until the cheese is melted. This Philly Cheesesteak is a real crowd-pleaser. And it tastes pretty close to the one I enjoyed at the Fire & Grain Restaurant in the Hershey Lodge. This Philly Cheesesteak fan gives this recipe a Philly Philly high five! Hershey is located in Central Pennsylvania, just 90 minutes from Baltimore and Philadelphia, 2 hours from Washington, DC and 3 hours from New York City. If you are planning a summer getaway, definitely consider visiting. There is so much to do for young and old. 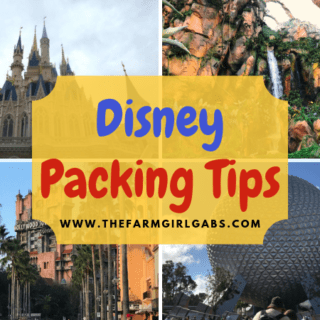 Wondering where to stay while you are there? Check out this post. Heat a large skillet over medium-high heat. Drizzle pan with one tablespoon of vegetable oil. Add steak and cook 60 seconds per side. Remove from skillet. Reduce heat to medium. Add remaining vegetable oil to the skillet then add the sliced onion. Sautee about 10 minutes until transparent. 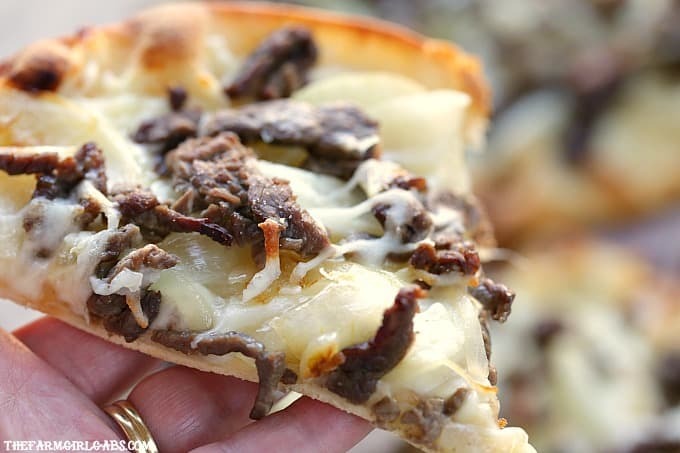 To assemble flatbread, add cheese and then top with steak and sauteed onions. Bake at 400 degrees for 15 minutes or until cheese is melted.